After being into English hands, since this vineyard belonged to the king of England, duke of Aquitaine, this land became French for good in 1453, with Charles VII’s annexation to the French crown. In 1593, Jacques Sauvage got tenure rights and a few years later started to build the Castle. It was in 1711 that this family became the owner of the Yquem estate. Ennobled under Louis XIV, Françoise-Joséphine de Sauvage d’Yquem wed a Lur-Saluces, whose family remained owner for almost 3 centuries, until 1999 when it got into the hands of a financial group. The vineyard spreads on 103 hectares and lays on a gravelly soil with clay chards. It is the only “Cru Supérieur” according to the prestigious 1855 list. 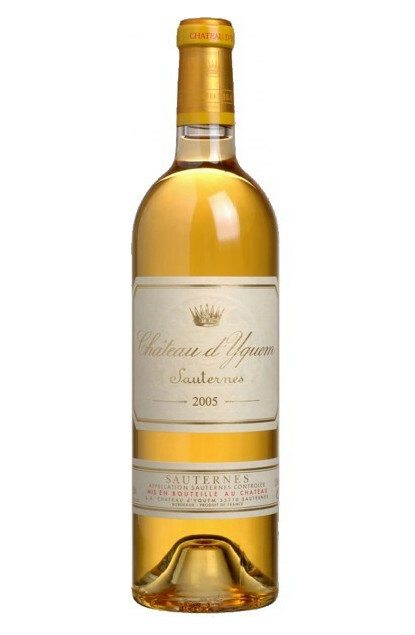 Château d’Yquem isn’t elaborated every year, since only the best years with outstanding qualities are selected. The vineyard’s average age is 30 years and the selected grape varieties are : Sémillon 80% and Sauvignon 20%. The harvest is done by hand with on average 5 to 6 successive selections. The wine is entirely put in barrels to age for 42 months.